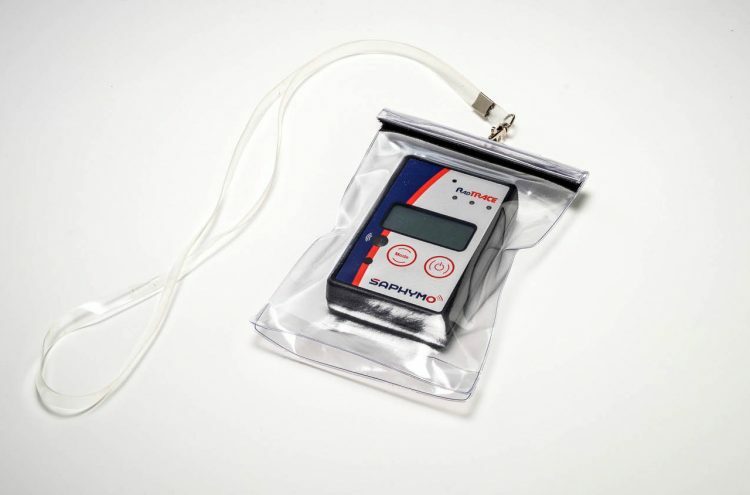 RadTRACE is a compact dosimeter which can improve the safety of medical workers exposed to ionising rays. Reliable, robust and easy-to-use, RadTRACE very quickly measures dosage rates and gamma ray doses over a wide measurement range. 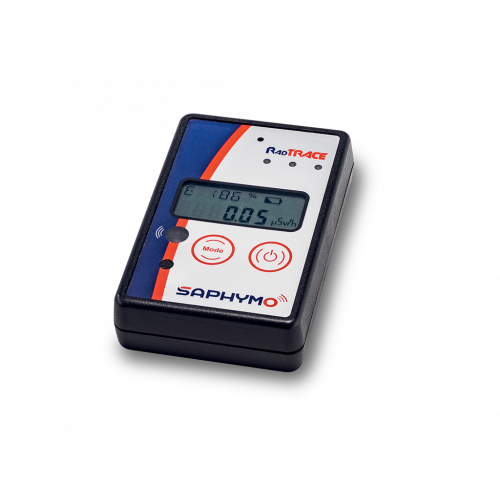 The data are automatically displayed on an LCD backlit interface with an auto scale function switching between µSv/h and mSv/h for more accuracy. 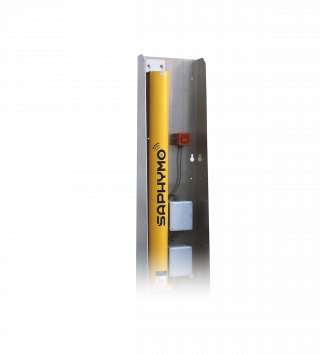 Initially design for the French Nuclear Industry, it also offers a vibration alarm and an internal memory for measurement results. 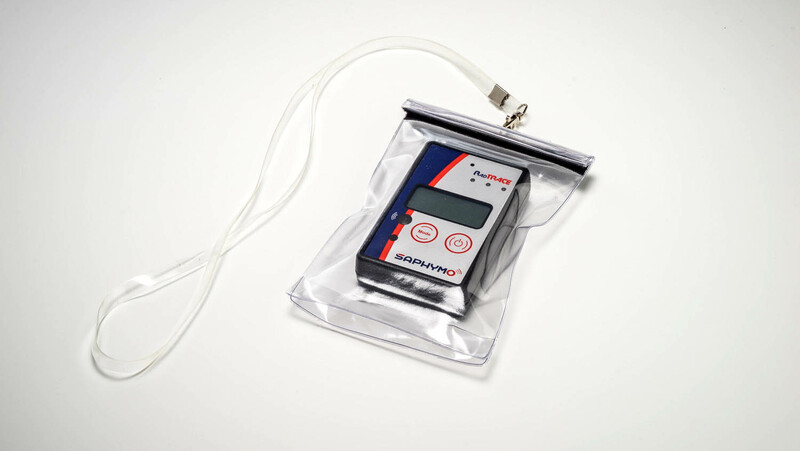 The internal data storage allows the record of the dose and dose rate for later readout (interval free adjustable). 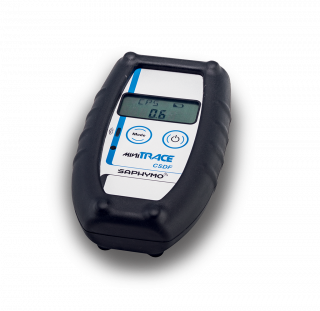 RadTRACE provides a very quick response time (1sec) and its two-button interface makes it easy to use. The DataVIEW software application allows users to store and analyse all their measurement data up to 650 values (sold separately). RadTRACE’s large measuring range (from 0.01 μSv/hr up to 100 mSv/hr and from 0.001 to 9,999.00 mR/hr) and its automatic scale adjustment function allowing switching between μSv/hr and mSv/hr modes make it very versatile. 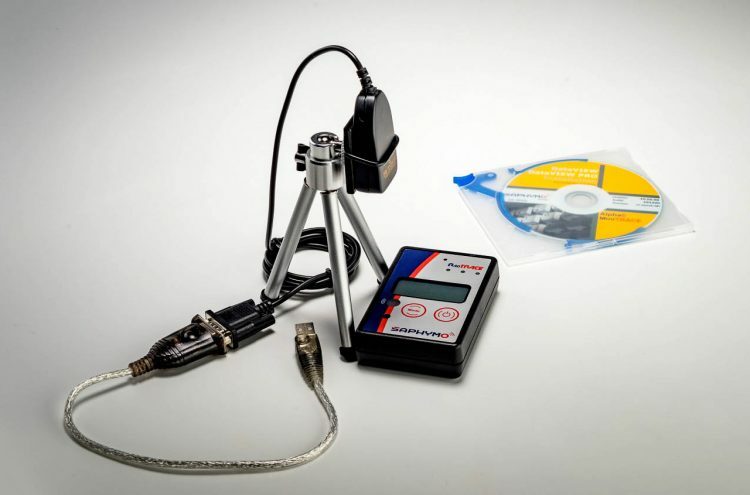 RadTRACE also has an average value mode which increases precision where radiation levels are low. RadTRACE is a pocket-sized device with a vibrating, audible alarm and a backlit screen which lights up automatically in poor light conditions. RadTRACE has an energy-compensating Geiger-Müller counter which measures the gamma ray dose rate (exposure rate or equivalent ambient dose rate (H*(10))). Its automatic scale adjustment function switches between μSv/hr and mSv/hr modes. Data is displayed on a backlit LCD interface. With its ultra-long-life batteries (up to 1,000 hours), RadTRACE is particularly suited to long-term operations. 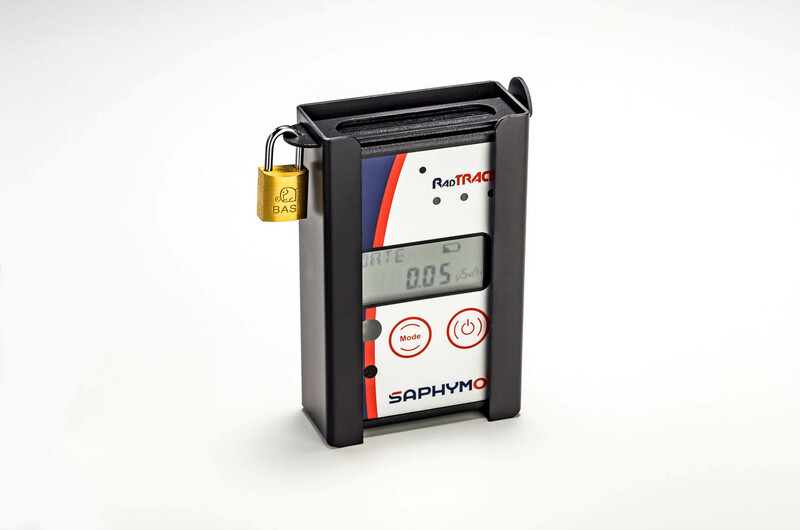 It also has a vibrating alarm and internal memory for storing cumulative dose data up to 650 measurement values. Within medical facilities, the frequent handling of radioactive sources can cause surfaces and people to become contaminated by these sources. It is therefore important to be able to detect this contamination to act quickly and limit any exposure.